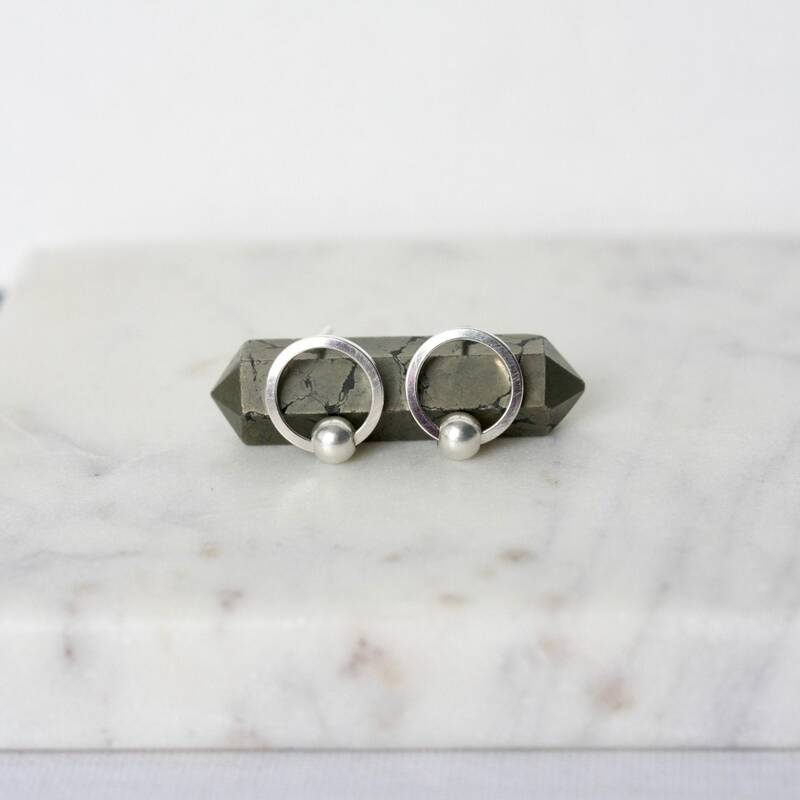 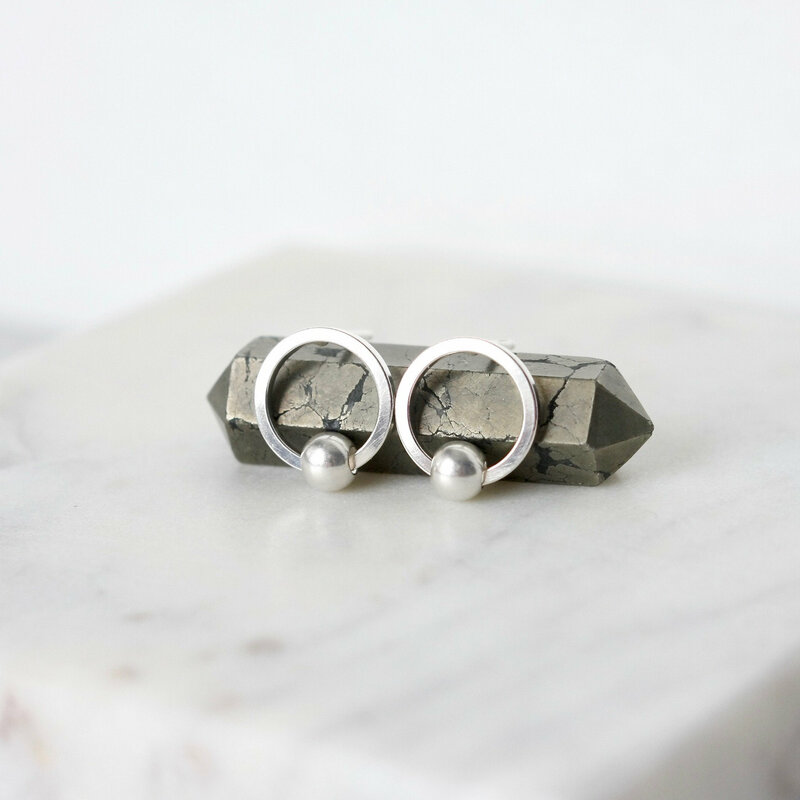 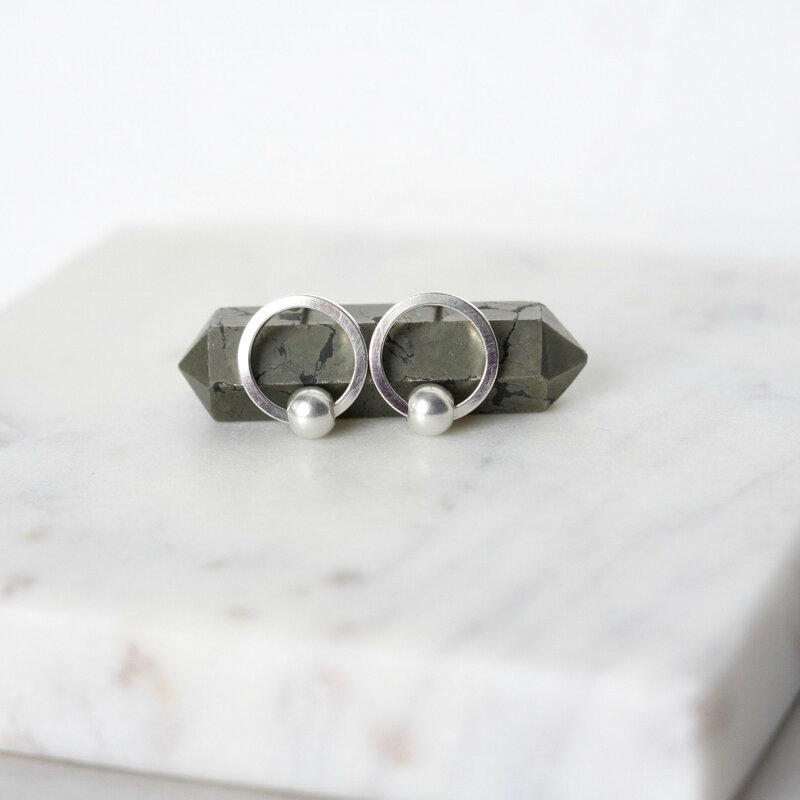 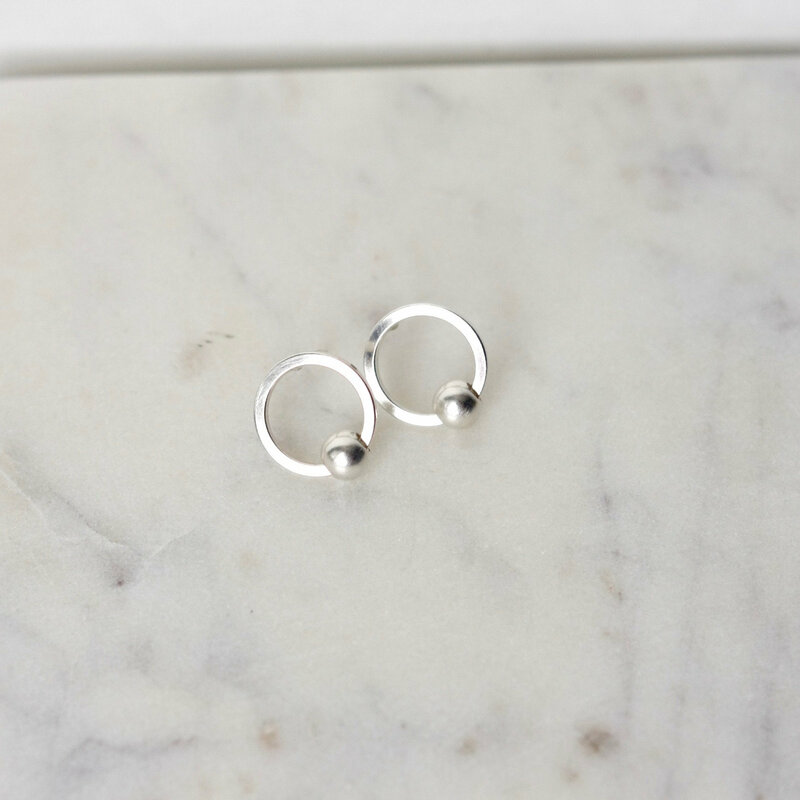 These minimalist geometric studs feature round 5mm matte sterling silver beads dangling from sterling silver circles. 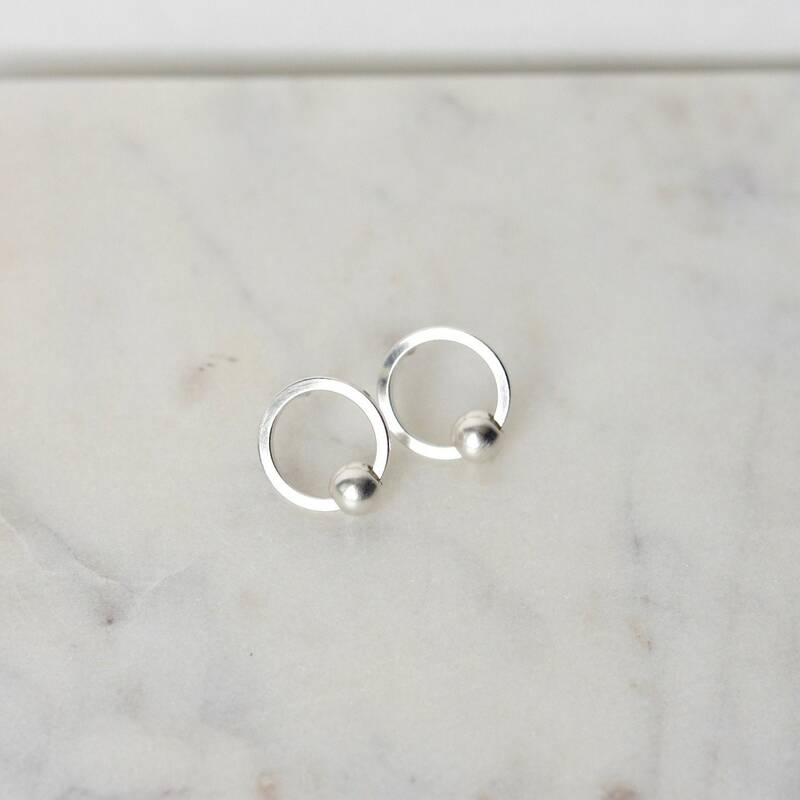 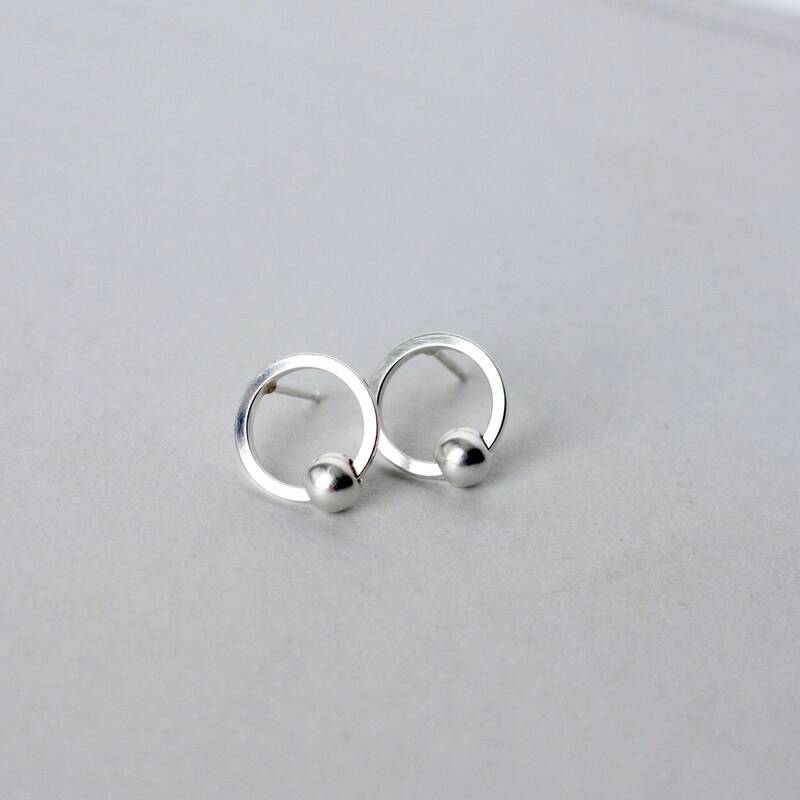 The circles are 12mm wide and are made with shiny and substantial sterling silver wire for a clean modern look. 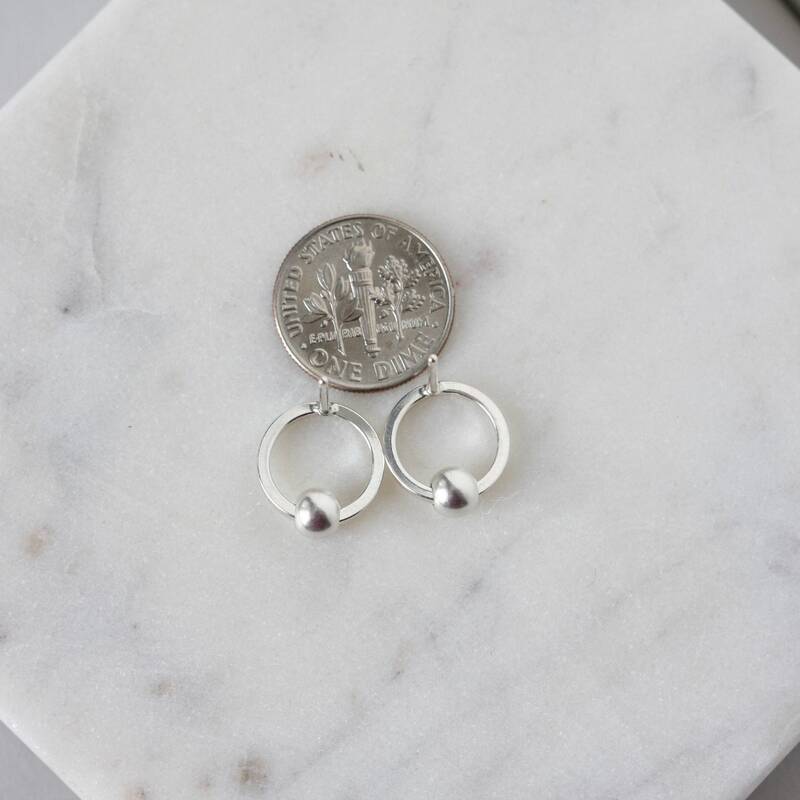 I've soldered sterling silver posts to the circles for a lightweight and comfortable earring that's great for everyday wear. 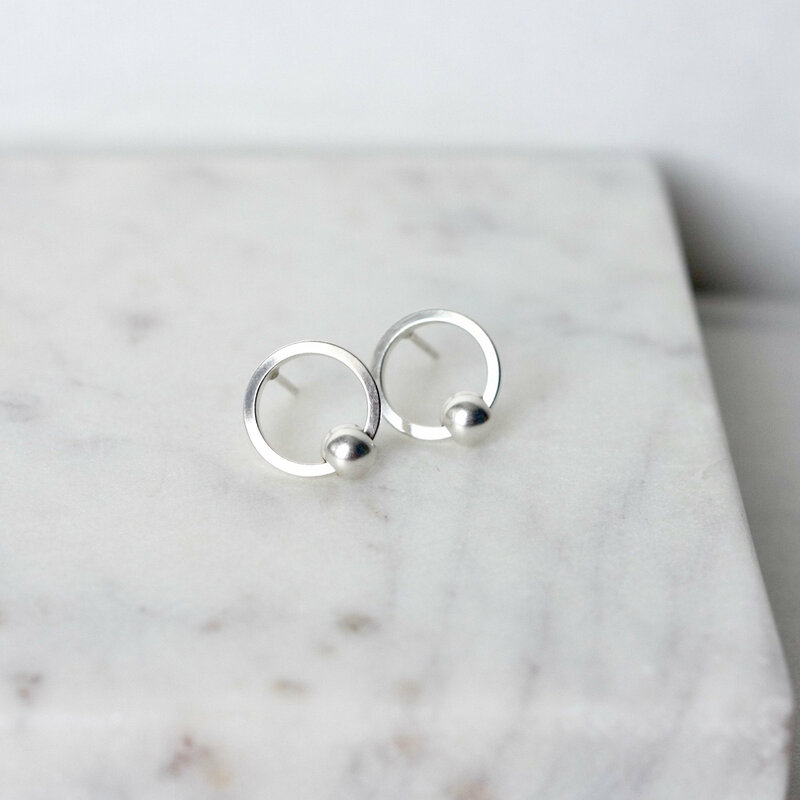 The earrings are held in place with sterling silver backings.